That's a sweet lookin' little critter, Bob! How much does it weigh? I'm at some point going to pick up a little mini in this class, mainly as a portable to take to demonstrations and the like. Weight of lathe vs weight of rough turning blank isn't an issue. Torque at around 5-700rpm is. Is this a change-the-belt type variable speed? From the photo it looks like that's the case. Nice score Bob. What is the distance over arm? Looks pretty tall. Is this going to be specifically for pens? Dennis, I think the variable speed controler is a box to the far left of the head, and being covered by Bob's hand in the lower pic. I love my Rikon, not a variable speed but light enough to haul around. The lathe weighs about 85 lbs with the banjo and tailstock in place. 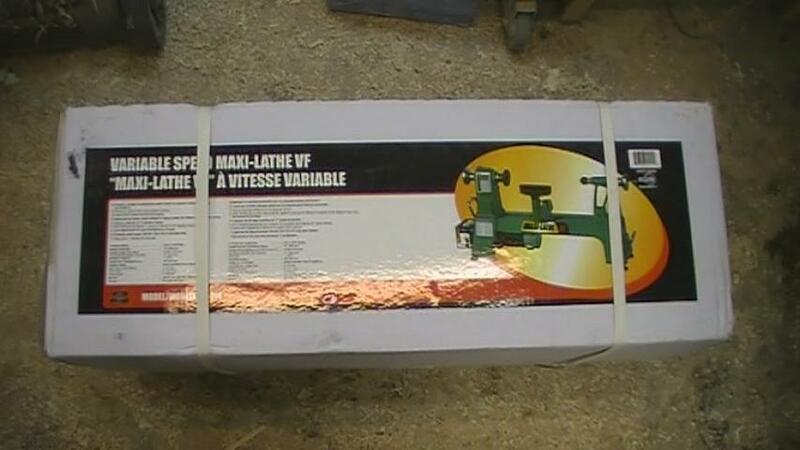 It is electronic variable speed with 3 belt positions to provide speed ranges of 250-800, 550-1700, and 1200 -3600. It has a 14" swing. The key feature to my mind is the 1" tool post on the banjo that will allow me to use all the tool rests I already have for my main lathe on the midi. It looks like you are getting ready to make some pens. I just made two dozen pen and pencils today. The first lathe work I have done since tearing up my hand last fall. It felt good to spin the lathe again. It seems to work pretty well! Greetings Bob: Another great video presented, appreciate your time-n-effort having these available !! The lathe has three speed ranges that require moving the belt to different pulley combinations. I was quite surprised at how much difference there is in available torque between the ranges, considering that the difference in radius of the pulleys is only about 1/2". In this video I was operating in the high speed range so therefore the lowest torque range. It quite likely did slow momentarily as I started a heavy cut but I think it just took a moment for the feedback circuitry to "catch up" and increase the power to the motor. I can't say the slowing was noticeable while I was actually turning. I am really surprised by how much noise is added when the tailstock and live center are used. When turning a piece mounted only in a chuck the lathe is very quiet. Using the tailstock and live center really increased the noise level. I wear hearing protection while I am in my shop so I really didn't notice the difference until I was reviewing the video. Thanks Bob. Yes I did notice the the "unusual" nose level with tailstock in first video ........ very hesitant to comment. It certainly sounds like a bearing fault but when you rotate it by hand I did not hear any rumble, you should be able to detect a faulty bearing by hand turning. Have you tried the live center from your other lathe or is it the lighter tailstock configuration? On another note ...... after reading all the posts you made about this lathe I must assume you picked this up in my back yard !! 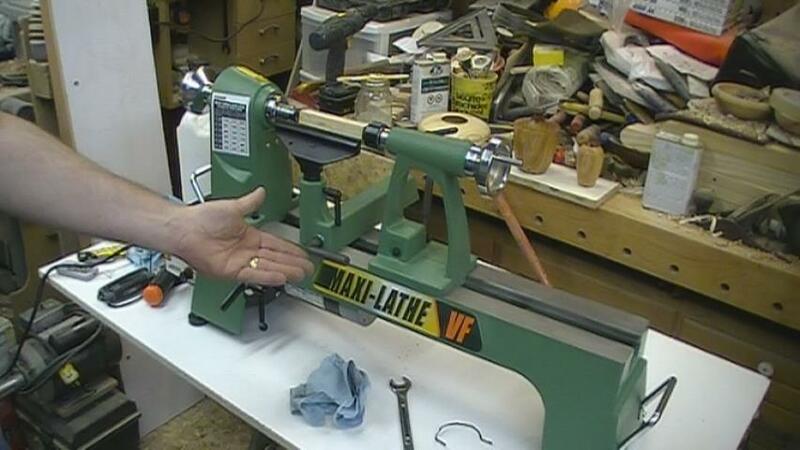 The lathe was purchased in London, Ontario at Federated Tools. The tail center I was using in the napkin ring video was one of my Oneway tail centers and in the second video it was the tail center that came with the new lathe. They both seem rather loud to me so it may indeed be the lighter tailstock configuration. Always impressed with the way you look at things. It comes through in the youtube clips loud adn clear.